Learn how to raise monarch caterpillars to help increase their numbers in a workshop from 6-8 p.m. Thursday, July 16 at the Audubon Nature Center, 1600 Riverside Road, one-quarter mile east of Route 62 between Jamestown, NY, and Warren, PA.
Mostly an indoor program, it will include a short walk outside to see the milkweed patch, the only food of monarch caterpillars. Depending on the local monarch butterfly population and the success of Audubon’s breeding program, you may be able to take a caterpillar home to care for. Class size is limited. While geared to adults and older children, the program is available to all ages. The cost is $16 for the public, $12 for Friends of the Nature Center and children 3-15, and free for children 2 and under. Paid reservations are required by Monday, July 13, and can be made online or by calling (716) 569-2345. The Audubon Nature Center has been raising monarch butterflies for 10 years and releases them during the annual Monarch Butterfly Festival, to be held this year from 10 a.m. to 4 p.m. Saturday, Aug. 29. Butterflies are fun to raise and this project can increase the local population of a butterfly that has been hard to find in recent times. 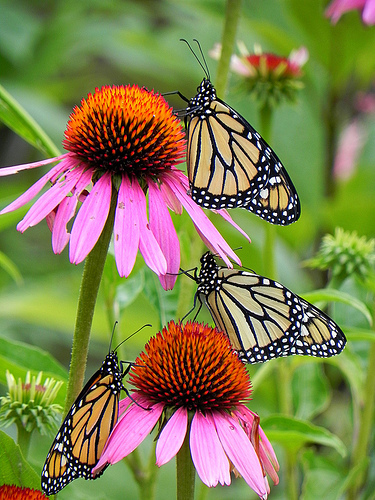 Following devastating declines, last year there were 150 percent more monarchs on their wintering grounds than there were the year before, thanks at least in part to human efforts. However, populations are still near record lows, according to Audubon. Instructor Jeff Tome is a naturalist at the Nature Center who has been raising and caring for monarch caterpillars for more than a decade. I was at a Monarch release today in Lewiston. What a wonderful thing to raise and release Monarchs. The festival will be fun. I’m sorry I missed that. I bet you got some great photos. We have an abundance of first instar monarch caterpillars should you need any for your workshop, you can contact me By my email or my cell phone number is 716 725 7332. P.S. the Monarch festival you advertised says Saturday The 30th, I believe saturday is the 29th of August..